EIP provides clients and partners with > 30 years of experience in energy storage, project development, finance, and grid-edge consulting. Experience includes technical, financial, market, and business know-how gained through founding, developing, operating, and investing in grid-edge companies and assets. EIP has worked with some of the largest players in the utility field, as well as emerging technology companies. In addition to traditional consulting engagements, EIP enters into partnerships with solar and wind developers to co-develop energy storage projects. EIP provides analysis, strategic support, and execution for corporate teams, investors, and new ventures. EIP has strong knowledge in the following markets: energy storage and batteries, distributed energy resources, biomass, biofuels, waste to energy, solar, grid-edge, and IoT. The principals of EIP have over 30 years of experience in the energy and investment space, having started, financed and operated many companies in the sector. Mr. May is a co-founder and Managing Partner at Energy Intelligence Partners (EIP) and has a background in private equity and investment banking. His experience covers numerous sectors of the energy economy, including solar, wind, storage, biomass and biochemicals, as an investor, operator and advisor. Prior to EIP Mr. May was a Principal with US Renewables Group (USRG), a $750 million renewable energy focused private equity firm based in Santa Monica, CA. At USRG he participated in all aspects of sourcing, analyzing, and closing transactions and managing portfolio companies across the renewable energy space. This includes working with dozens of start-up and later stage companies. Prior to USRG Mr. May was with Lehman Brothers, Inc. in New York City, as one of the original members of the Sports Advisory and Finance Group. Finance experience includes, M&A advisory, equity and debt placement as well as structured and project finance. 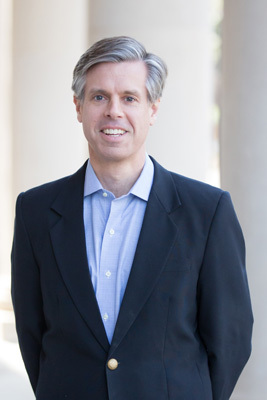 Mr. May holds an MBA and a Master of Environmental Management from Duke University and a BA from the University of North Carolina at Chapel Hill. Dr. Ron DiFelice is a co-founder and Managing Partner at Energy Intelligence Partners (EIP) and a leader in the field of energy storage, with over 17 years of experience across all types of energy storage, grid-edge technologies, and markets. He brings a valuable business prospective gained from having worn every hat required to successfully start, fund, operate, and grow a business. Before launching EIP, Dr. DiFelice was focused on technology commercialization and drove two battery companies from white board to profitability. He has led projects across the energy sector spanning distributed energy resources, renewable energy systems, and grid-edge technologies, among others. For the past 5 years at EIP, he has served as a consultant to developers, investors, utilities and Fortune 500 companies, and is currently co-developing over 500 MWhs of solar plus storage projects. 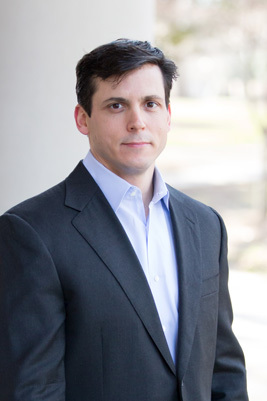 Dr. DiFelice earned a Ph.D. in Chemistry from Virginia Tech (Phi Lambda Upsilon), an MBA from Kenan‐Flagler at the University of North Carolina at Chapel Hill (Beta Gamma Sigma), and Bachelor and Master of Science degrees from the Rochester Institute of Technology. He is an active member of RTP Capital, an angel investor group that provides seed capital to early-stage companies and serves on the Board of Directors for the North Carolina Sustainable Energy Association.